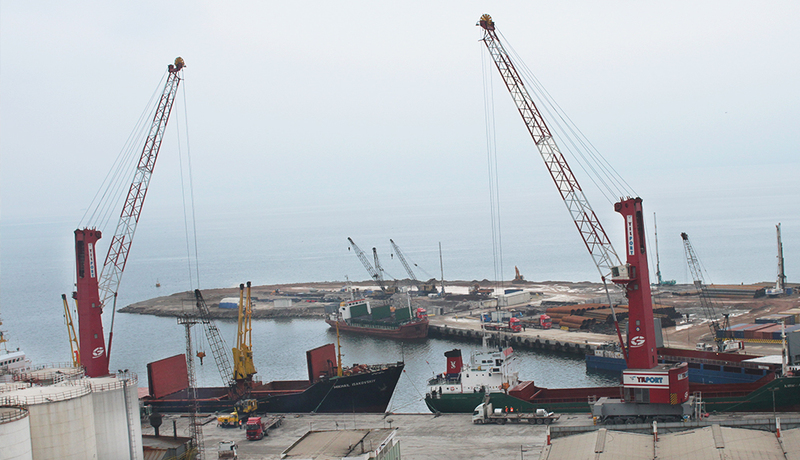 YILPORT Holding started activities in 2004 by acquiring Sedef Port, a former shipyard from STFA Holding. In 2005, the Group acquired Alemdar Holding, Inc. and subsequently merged the two operations to create YILPORT Container Terminal and Port Operators, Inc. The Home Terminal at YILPORT Gebze was expanded and fitted with 8 STS cranes, a pioneering installation of APS crane, and OCR integration with NAVIS N4 in Turkey. The RTG’s were electrified and the standard was set for Turkish ports in terms of productivity, efficiency, safety and customer dedication. We are proud of our multipurpose one-stop-shop. YILPORT Holding Inc. was established in August 2011 to consolidate port and container terminal operations of Yildirim Group under one roof. YILPORT initiated the Gemlik terminal project in 2011, designed to handle the largest of vessels, previously not able to dock in Turkey. In the same period, the company acquired Gemport, a leading 600,000 TEU capacity container and Ro-Ro facility adjacent to the Gemlik project. In 2011, 50% of the Malta Freeport ownership was conferred to YILDIRIM Group who passed this on to YILPORT. We expanded further our portfolio further acquiring Rotaport in 2012. Its dedicated bulk handling equipment and multimodality will continue to lead the port industry. To manage its increasing portfolio YILPORT established its Holding in 2012 to oversee and manage the increasing operations across the globe and to become the first Turkish global port operator. In 2014, YILPORT acquired Gävle Container Terminal in Sweden and Port of Oslo in Norway, further expanding to the Nordic region. In 2015, Tertir portfolio, which consists of 10 ports and terminals, 7 in Portugal, 2 in Spain and 1 in Peru has been acquired. In 2016, Solventas Technical Storage Co., the largest liquid terminal in Turkey has been added to the YILPORT Portfolio. Also, YILPORT secured the rights to Baltic Sea Gateway in Sweden, that renders YILPORT as the sole operator in Port of Gävle. YILPORT expanded its reach into Latin America in 2016 by acquiring the rights to Puerto Bolivar in Ecuador. The company will invest in and create the largest terminal in Latin America’s Pacific Coast. YILPORT Holding aims to create world-class, multipurpose facilities on an international scale. This vision is powered by the company’s growth strategy to become a top 10 global port operator by 2025. The numbers indicate that the company is well on its way to achieving this target, as YILPORT Holding was acclaimed as the 12th biggest international terminal operator in the world on Drewry’s 2017 ranking. Establishment of GARIP YILDIRIM & SONS CO. Entry into shipping sector with YILMAR Shipping Trading Inc.